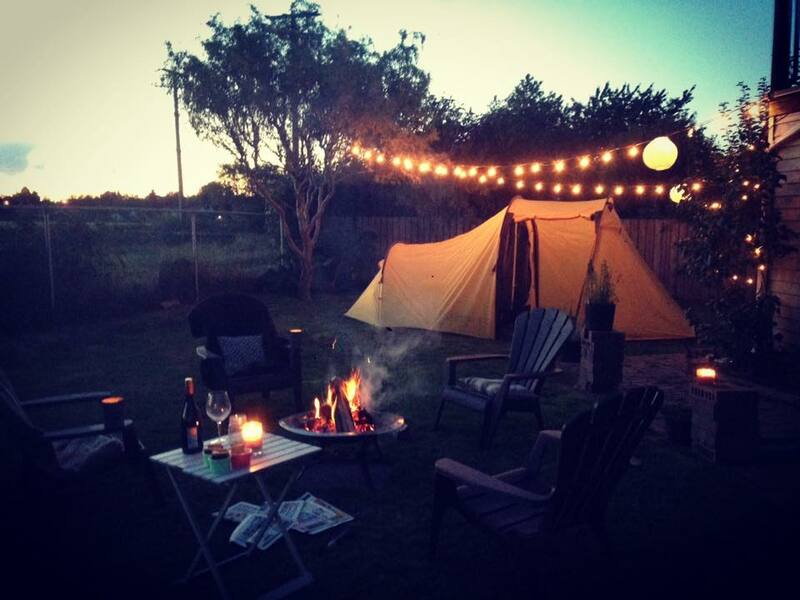 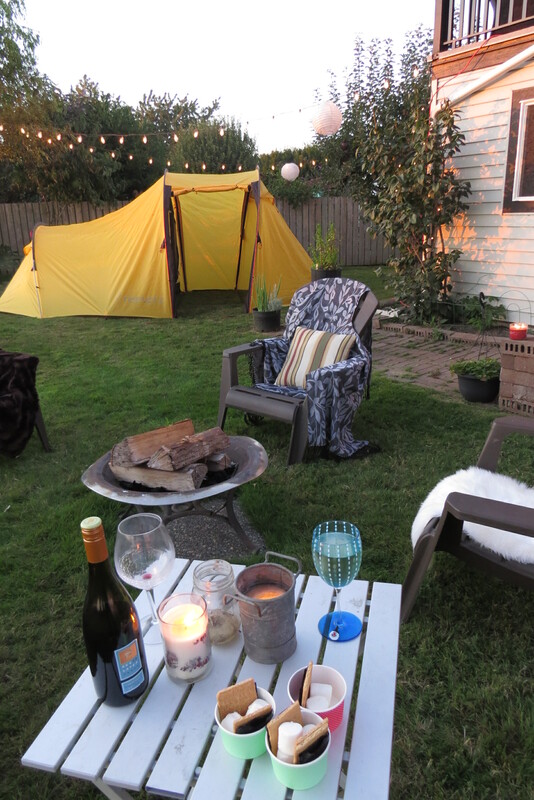 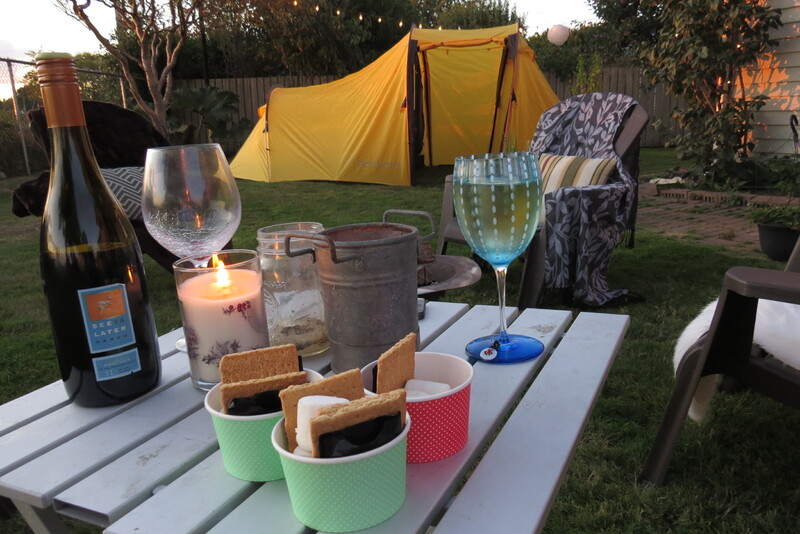 Extra candles to light up the rest of the yard, or path to your tent, smores ingredients, a snuggly blanket, and your favourite glass of vino! 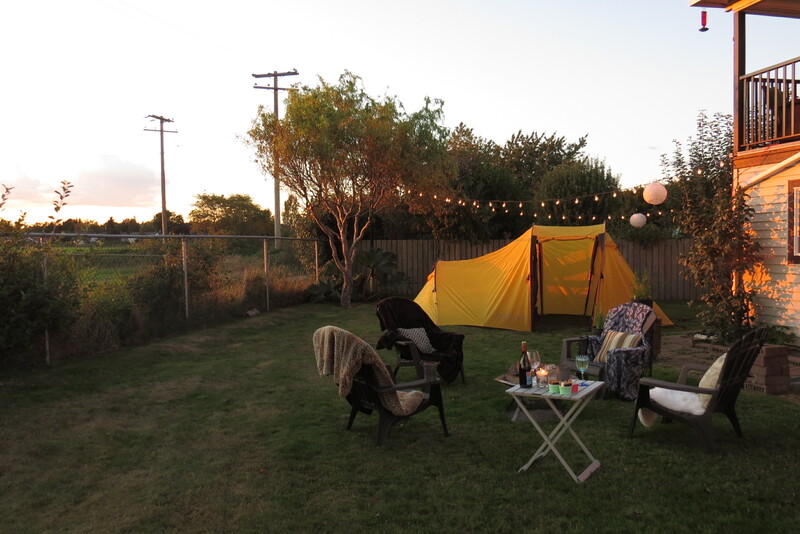 Our tent is a Redverz, designed specifically to house a motorcycle. 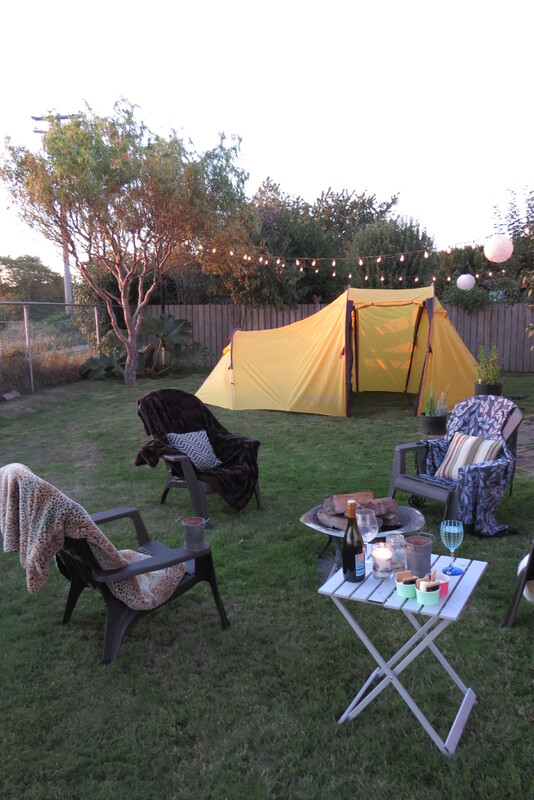 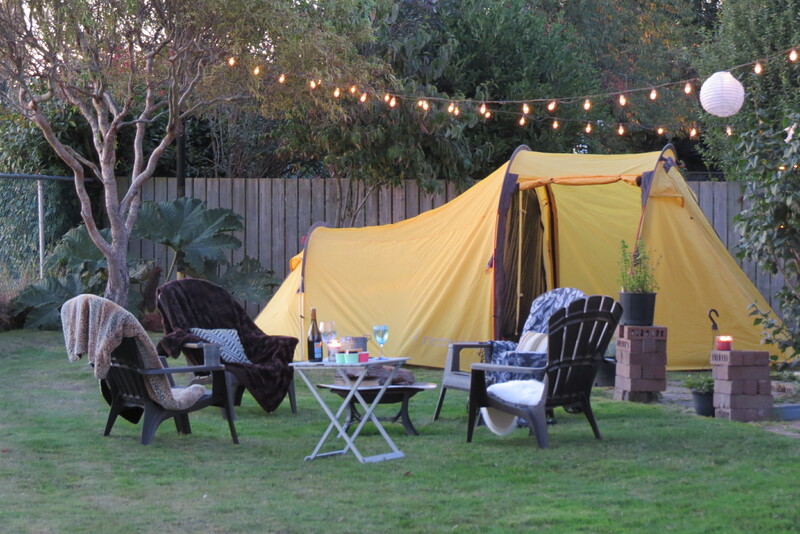 Inside, we set up, side tables with lanterns, and our big comfy, super high air mattress (which can be found here), all dressed with our own bedding to make for a very snuggly sleep.